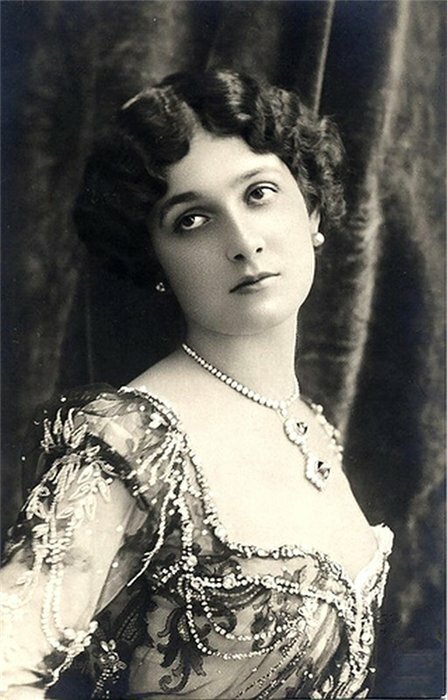 Singer and actress Lina Cavalieri was born Natalina - meaning 'Little Christmas' - Cavalieri on this day in 1874, in Viterbo in Lazio. During her career she starred opposite Enrico Caruso in operas and earned the title of ‘the world’s most beautiful woman', while many of her female contemporaries tried to attain her hour-glass figure by using tight-laced corsetry. Raised as one of five children in humble circumstances, she was expected to work to supplement the family income. To this end, she sold flowers and sang on the streets of Rome. After a music teacher heard her singing, she was offered some music lessons. Subsequently, she found work as a café singer and then in theatres in Rome. Increasingly popular both for her voice and her physical beauty, she made her way from Rome first to Vienna and then Paris where she performed in music halls including the Folies-Bergère and worked with singing coaches to develop her voice. The progression to opera came in 1900, when she made her debut in Lisbon as Nedda in Pagliacci, by Ruggero Leoncavallo. It was in the same year that she married her first husband, the Russian Prince, Alexandre Bariatinsky, whom she had met in Paris and who had encouraged her to believe she should not be content with working in mere music halls. The Lisbon audience gave her a difficult time, however, and the production was abandoned after only a few nights, at which point Bariatinsky left her. 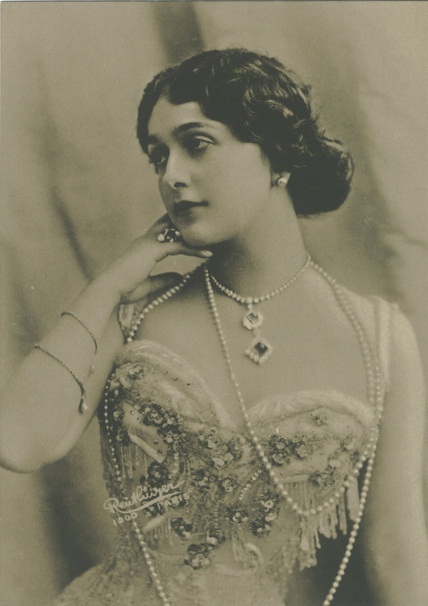 Cavalieri returned to Paris and might have given up her operatic ambitions without the encouragement of her sister, Ada, who helped her rebuild her confidence. After successes at Teatro San Carlo in Naples, in Warsaw, Ravenna, Palermo and St Petersburg, a breakthrough moment came when in 1905 she starred opposite Caruso in Umberto Giordano’s opera, Fedora, at the Sarah Bernhardt Theatre in Paris. The performance was so successful they took the production to the Metropolitan Opera in New York. Cavalieri stayed with the Met for two seasons, performing again with Caruso in 1907 in Giacomo Puccini’s opera Manon Lescaut. She became one of the most photographed stars of the time and women everywhere tried to copy her figure. She had a brief, second marriage to Robert Winthrop Chanler, an American artist and a member of the Astor and Dudley-Winthrop families. Married in 1910, the had separated within weeks and were divorced in 1912. During her career she sang with many famous singers, including the French tenor Lucien Muratore, who became her third husband in 1913. After retiring from the stage, Cavalieri ran a beauty salon in Paris and wrote an advice column on make-up for a magazine. She also launched her own range of beauty products and perfumes. In 1915 she returned to Italy to make films and then went back to America, where she starred in silent movies, many of which have since been lost. She moved to Italy again after marrying her fourth husband, the writer Paolo d’Arvanni. Despite being in her sixties when the Second World War began, she became a volunteer nurse. Tragically, Cavalieri and her husband were both killed in 1944 after an Allied bombing raid destroyed their home near Florence. After her death, Cavalieri was painted repeatedly by the Italian artist Piero Fornasetti, who found her face in an old magazine and became obsessed with her, creating hundreds of versions of her image. In 1955 she was portrayed by Gina Lollobrigida in the film Beautiful but Dangerous, which was alternatively called The World’s Most Beautiful Woman, a French-Italian production directed by Robert Z Leonard. Viterbo, where Lina Cavalieri was born, is the largest town in northern Lazio, situated about 80km (50 miles) north of Rome. In the 12th and 13th centuries, with Rome often chaotic as rival families engaged in feuds, Viterbo became a favourite refuge for embattled popes. 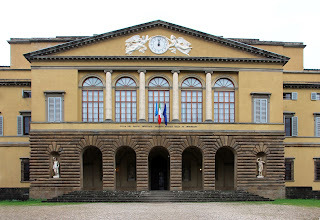 Much of its most notable architecture, such as the Papal Palace, has echoes of that period. It was bombed heavily during the Second World War but much of its historical centre remained intact and nowadays it is a somewhat overlooked city. 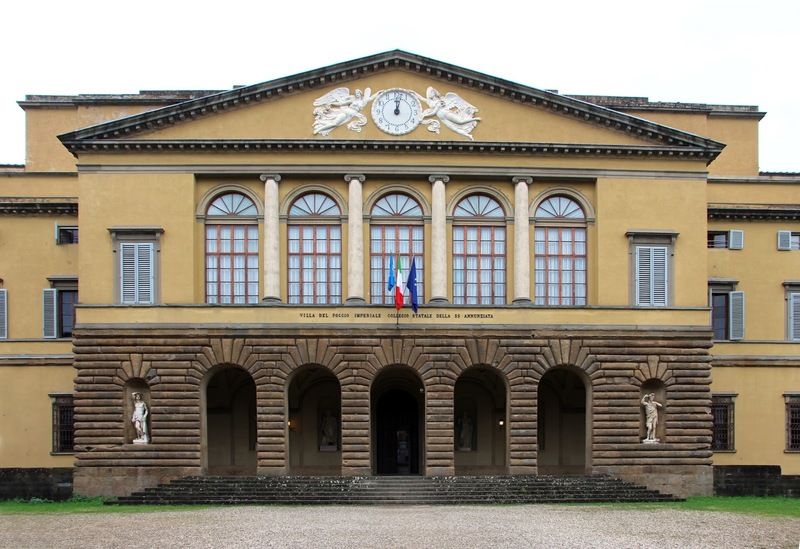 Lina Cavalieri was killed at her home just outside Florence at Poggio Imperiale, near the imposing neoclassical Villa del Poggio Imperiale, which was once the home of the Grand Dukes of Tuscany. It was seized from the Salviati family by the Medici and was then later given to Napoleon’s sister before becoming a girl’s school. Some of the frescoed state rooms are open to the public by appointment.